Circa 1884 Terre Haute Blues Baseball Club Cabinet Photo, featuring nine team members and Manager Al Buckenberger. Could be the team from a year earlier or later, but certainly within this three year period. The Blues were a member of the Northwestern League and had less than a stellar record. 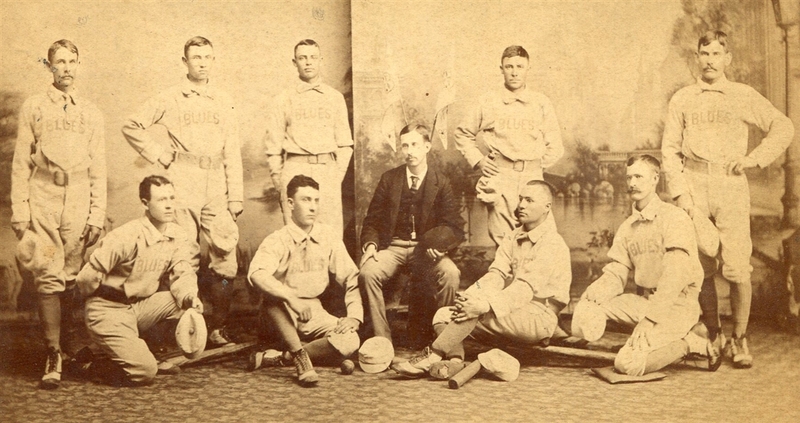 Several members of the team did go on to play big league ball. Buckenberger himself went on to manage in the Majors for several different teams. While not certain of the ID's on this cabinet, several of the players appear to be Ed Miller, Mox McQueary, George Mappes, Jerry Moore, Ed Seward and Bill Van Dyke. We shall leave the defacto ID's up to the bidders and eventual winner, which might bear pleasant surprises. Standard cabinet size, 6 7/16" wide x 4 3/16" tall(when viewed horizontally). On a local photographers mount Adams, Terre Haure, Ind. 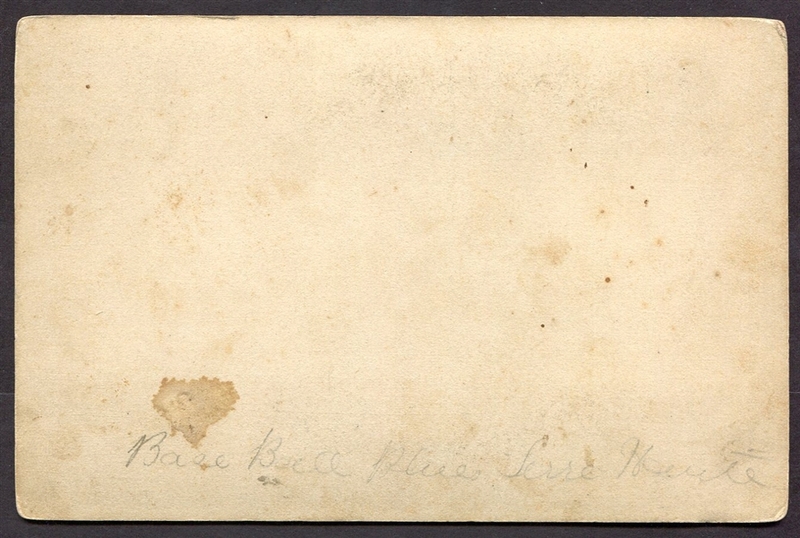 The back with a lightly penciled or perhaps faded pen period notation "Base Ball Blues Terre Haute". 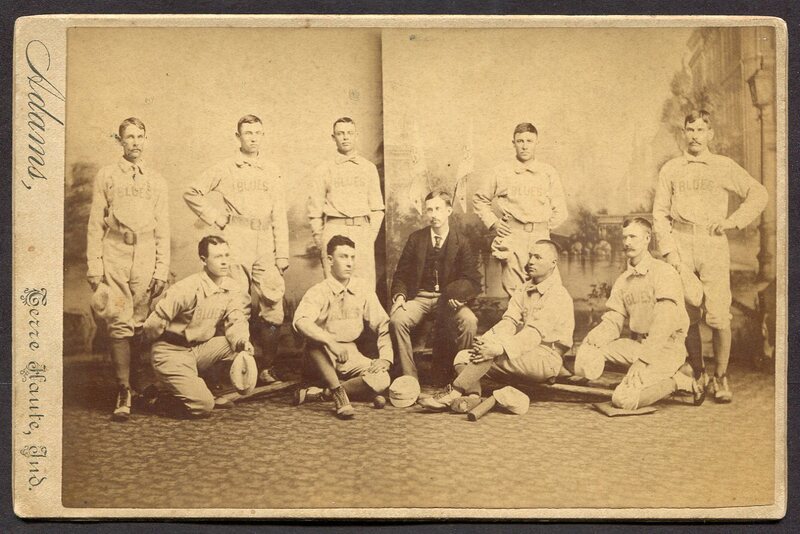 An excellent image and historical piece of a short-lived team, in highly collectible condition. Worthy of the finest 19th century collections.